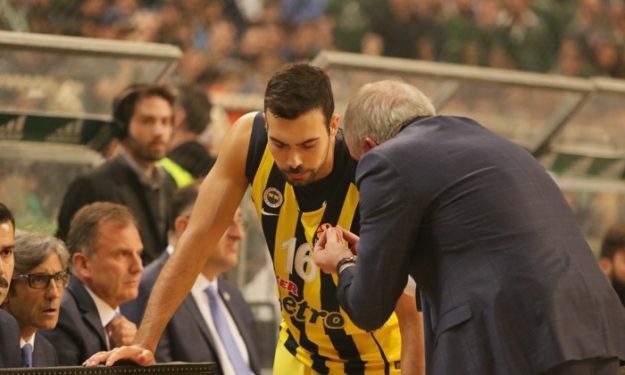 Kostas Sloukas writes on his Eurohoops.net Blog for the upcoming challenge and the third consecutive Final Four with Fenerbahce, The Greek guard believes in his team and he is ready for the dueal against a European legend, as he calls him, Vassilis Spanoulis. Fenerbahce‘s floor general updates his blog just in time before the seventh Final four of his career! Yes, that’s not a typo! He may be only 27 years old, but he is already preparing for the seventh in total, or if you prefer the fifth Final Four in which he is expected to be a factor. The start took place in 2009 and 2010 when he traveled with Olympiacos and but was not part of the active roster which was full of stars. Then came the triumphs of 2012 and 2013, which he experienced as the game changer of the Greek team having in both cases a key role. He also had a great tournament with the Reds in Madrid, but lost the trophy to the 2015 final. And now, after losing the 2016 with Fenerbahce, he is ready for his seventh participation, hoping that this will be his first title with Fenerbahce. I am very excited and I feel blessed. It is the fifth Final Four in which I will be an active member of my team and I will have the chance to fight for the title. Many players have played better than me on an individual level, but I think few have so many Final Four participations at my age! And the fact that Fenerbahce is playing its third consecutive Final Four, it’s about Obradovic and our coaches. In the series with Panathinaikos, we finally had all our players healthy and we proved around the world that we are a very good team with many players who have class and talent. We all knew it from the beginning of the season, we just had a lot of injuries that affected our performance and our consistency. Luckily, we were at full strengh during the playoffs, we all worked together, we had great leadership and demonstrated our true strength. Spanoulis plays like a robot! It’s going to be a repeat of 2015! Olympiacos was also qualified, the team that established me on the top level and which which I have won two EuroLeague trophies. Spanoulis, who is really the absolute professional, did a great job again. Every day he works very hard. The fact that he is so many years at the top, it’s not a coincidence. He has a lot of talent and I like the way he plays. Every single moment, as if it was his last in basketball! It is incredible. He plays like he’s a robot! He is a legend, not only in Greece but throughout Europe.